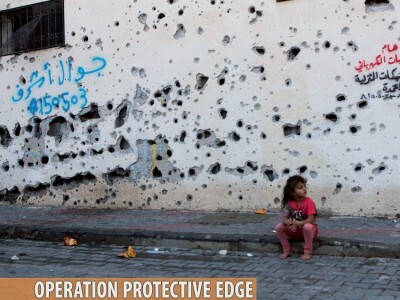 Defense for Children International-Palestine released, on 16 April 2015, a report, Operation Protective Edge: A War Waged on Children, detailing the high price paid by children during Israel’s assault on Gaza last summer. DCIP’s investigation into all Palestinian child fatalities during Operation Protective Edge found overwhelming and repeated evidence that Israeli forces committed grave violations against children amounting to war crimes. This included direct targeting of children by Israeli drone-fired missiles and attacks carried out against schools. Israel, the world’s largest exporter of aerial drones, killed 164 children in drone strikes during the conflict. No day more clearly demonstrated the indiscriminate and disproportionate attacks that characterized the Israeli offensive than July 20, when Israeli air and ground forces killed at least 27 children in Gaza City’s Shuja’iyya neighborhood. An Israeli fighter jet also destroyed the Abu Jami family home in the southern Gaza town of Khan Younis on the same day, killing 18 children. In total, 59 children across the Gaza Strip lost their lives in one of the deadliest days of Operation Protective Edge. Those who survived these attacks will continue to pay the price for many years. More than 1,000 children suffered injuries that rendered them permanently disabled, according to OCHA. Amputees like Mohammad Baroud, 12, who lost both his feet in an explosion that killed 11 of his neighbors, will require lifelong medical care and support. For the children who managed to escape physical injury, the psychological effects of this latest operation have been severe and resounding. Many have lost one or both parents, or other family members. Some have lost their entire extended families. All have experienced violence, fear and instability at close quarters. The international community has persistently failed to hold Israeli forces or officials accountable for grave human rights violations against Palestinian children. 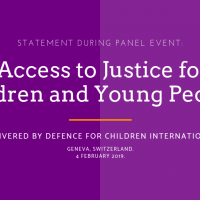 In order to end impunity and increase protections for children, DCIP strongly urges the international community to immediately call on UN Secretary-General Ban Ki-moon to include Israel’s armed forces in the annex of his annual report on children and armed conflict, which lists armed forces and groups for committing grave violations against children. DCIP and other Palestinian human rights organizations previously called on UN Secretary-General to “list” Israel’s armed forces as part of the UN Security Council’s children and armed conflict agenda.